Natures sacred paradise, Xcaret is the unique and friendliest all-in-one eco-archaeological park of the world. There you will find: archaeological ruins, tropical birds, coral reef aquariums, giant sea turtles, a Mayan village, monkeys, a bat cave, dolphins, a beach and snorkeling. Cultural shows include the Papantla flyers, a Mayan show and a Charro show. 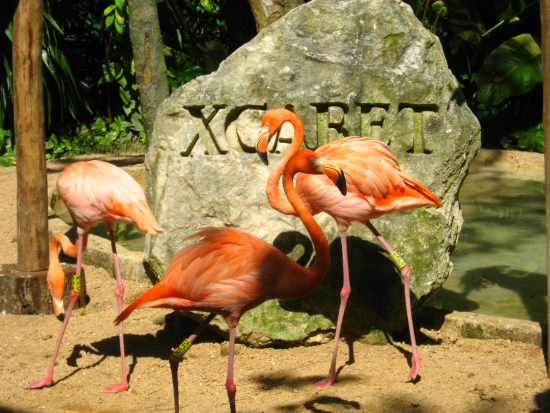 Xcaret park is an experience for the senses for both children and adults alike. The underground rivers await to amaze you. Float through the caverns in the crystal clear waters. Named for the ancient Maya world for little inlet, Xcaret was one of the cultures most important ports and a revered ceremonial center. Immerse yourself in tradition, nature, wonder, adventure and beauty. 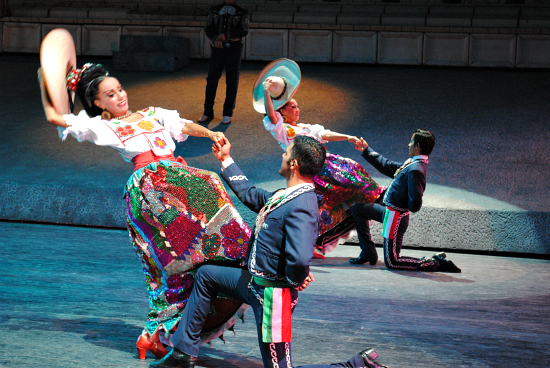 We recommend staying to see the evening show “Xcaret at Night”, an event where you will be brought to the roots of traditions, finished with a colorful show of dances from various regions of Mexico. BASIC PACKAGE: includes the entrance + evening show. Food + drink is extra. PLUS PACKAGE: includes the entrance, lockers, towels, equipment for the underground rivers and one access to the buffet restaurant during the day + the evening show. NIGHT: access to the park as of 3pm and the evening show. Food + drink is extra. HINTS AND TIPS: You may save money by opting out on the option for transport. If you are in the Playa del Carmen area, we can book the tour without transport and you can take taxis. Contact us if you need help or advice. Biodegradable sunscreen and bug spray is required at Xcaret Park. Optional services are available at extra charge such as: swimming with dolphins, swim with sharks, sea trek, tlachco dinner, snuba, stingray encounter and more. Bring extra money for snacks, drinks and souvenirs. KIDS: Kids under 5 are free and kids 5-11 pay half price. Bring ID. Strollers are available for rent or bring your own as there is a lot of walking. Excellent excursion for kids of all ages. WHEELCHAIR: Most of the park is wheelchair accessible. Wheelchairs are available for rent. RESERVATIONS: Please reserve at least 1 day in advance. For minors between age 5-12 years of age the children rate applies, above this age they are considered as adults. For minors until the age of 5 entrance is free. Please bring ID. Xcaret is located in the Mayan Riviera and opens daily from 9:00 a.m. to 9:00 p.m.
TRANSPORT: If you are in Cancun, book with transport. If you are in the Riviera Maya or Playa del Carmen, you can book with transport for ease, but you may save money by booking without transport and taking a taxi. Ask at your hotel the cost of the taxi to see what is best for you. If you are unsure, contact us, we can help! Have questions or need help? Contact us 1-888-537-9797.